Statesboro native and Georgia Southern University alumnus Seth Orme (‘14) will return to campus to share his experiences about raising awareness of littering at 7 p.m., Feb. 15 in the Nessmith-Lane Conference Center, 847 Plant Drive, Statesboro. Orme, co-founder of “Packing It Out,” an initiative, will discuss littering on America’s nature trails, and packing out thousands of pounds of trash, that he experienced while hiking through the Appalachian and the Pacific Crest Trails. He is the first of two spring 2017 sustainability speakers hosted by the Center for Sustainability (CfS). Established in 2014, “Packing It Out” strives to rehabilitate trails and wild spaces all over North America. The founders see the earth as a community in which we share. At the heart of everything they do is a desire to leave the people and places they go better. The initiative has received wide media coverage, including Gear Junkie, Outside Magazine, Lonely Planet and more. A new film about the initiative, Packing it Out: Five Minutes Five Thousand Miles is an official selection to the 2017-2018 Banff Mountain Film Festival World Tour. Orme graduated from Georgia Southern University with a degree in outdoor recreation, and has been a nature adventurer since then. 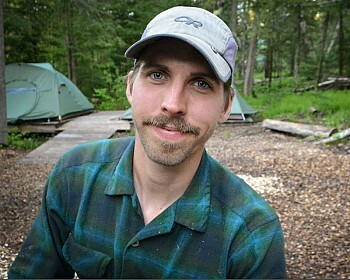 He has completed a 45 day kayaking trip down the Mississippi River, hiked many trails including the Appalachian and Pacific Crest Trails and worked as an outdoor educator for Wilderness Inquiry. To learn more about Orme and “Packing It Out,” visit http://www.packingitout.org/. This event is open to the public and free of charge and is co-hosted by CfS and Southern Adventures. Student Sustainability Fees at Work.